Missouri Baptist Foundation (MBF) helps churches develop financial resources and provides professional investment management for short and long-term needs. Endowment is an investment that provides income for your church’s ministry. 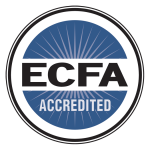 MBF helps churches develop and manage endowment funds. MBF helps your church members create arrangements to care for themselves, their families and ministries. Charitable Gift Annuities can be a valuable tool for church members to leave a generous gift to their church. MBF offers a seminar to explain how a Charitable Gift Annuity provides income to the donor and leaves a gift to ministry. MBF has several seminars and presentations to help churches and church members. These presentations are available at no cost. MBF is pleased to offer loans to Southern Baptist churches and organizations that have a ministry need that requires financial support.